BARDSTOWN, Ky. - This week marks six months since a mother and her teenage daughter were murdered in their Kentucky home and still, police are no closer to solving the case than they were on day one. 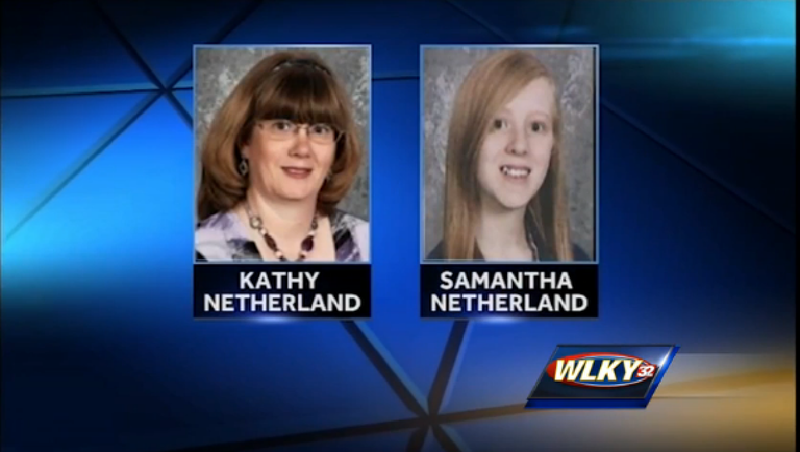 Kathy Netherland, a 48-year-old elementary school teacher, and her 16-year-old daughter Samantha were found slain in their Botland home on April 22. Investigators say the two were killed around 8 p.m. the night before. They haven't released a cause of death. Kentucky State Police Trooper Jeff Gregory told 48 Hours' Crimesider Thursday that authorities haven't identified any suspects or persons of interest in the case. He says no one has been ruled out. "We have lots of avenues that we're still looking at. Determining a motive in the case is a problem. It's hammering the investigation," he says. However, Gregory notes that "based on the evidence and the investigation, it doesn't appear that they were randomly targeted." Shortly after the murders, authorities released surveillance video of a black Chevy Impala they believe the person responsible for the murders was driving. "We still believe if we can find that car, we can solve the case," Gregory says. A $2,500 reward is being offered to anyone who has information leading to an arrest. Tips can be made to the Kentucky State Police at (270)766-5078.